Reviews Coming at YA (*Kids Too*): Mr. Particular: The World's Choosiest Champion Blog Tour with Guest Post! Mr. Particular: The World's Choosiest Champion Blog Tour with Guest Post! "I enjoyed Mr. Particular and so will you. This is a great book for kids--a terrific story, beautifully illustrated." Meet Mr. Particular--the world's choosiest champion! This superhero's super picky: he says NO to squishy mud, gross green things, tucked-in shirts, humming, and anything with coconut. But, when his friends in the "Super-Duper Group" finally get fed up with his fussiness, can Mr. Particular prove that even the super-squeamish can save the day? Mr. 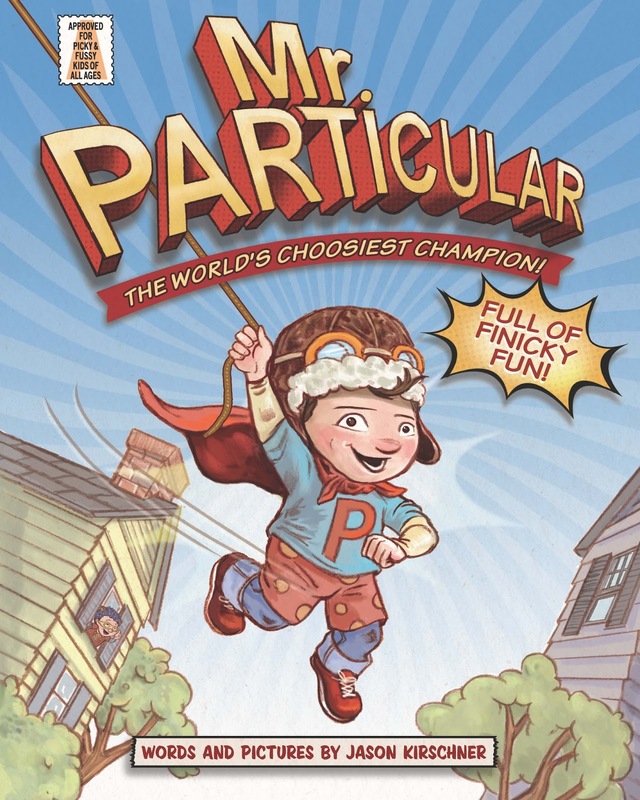 Particular (Sterling Children's Books; May 2016) is a fun comic-book-style story that will delight even the most finicky kids! Will the Real Mr. Particular Please Stand Up? I’ve had a bunch of people ask me about the inspiration for Mr. Particular, my persnickety protagonist. Most people think its my son, who’s certainly picky in his own way. Some have pointed to my daughter which is easily disputed —she’ll eat almost anything. There are even a select few who look in my cat’s direction, siting the millions of different brands of cat food we went through to find one that he’d eat. And as long as we’re being honest, my particular particulars were far worse than our friend Mr. P’s. When writing the book, I actually had to come up with some hangups that sounded more realistic than the ones I walked around with as a kid or no-one would have found the character believable. I did not like the smell of tuna fish and would leave the table if it was produced — even in school. (I was super-popular—obviously.) I would become enraged if anyone wrote in my books. Dog-eared pages were also NOT acceptable. I never ate cheese. Seriously. No delicious cheese. I didn't try cheese again until college and even then I was a bit scared of it. Well I hope this puts the rumors to rest. And I can also say that, like Mr. Particular, I got to a place where I made fewer fusses too. I won’t say what age I was when that happened…(I might have already had a college degree) but it happened. It did. I swear. I’m pretty sure that your picky progeny will turn ok — great even. Wait. Wait a second…is someone humming? I hate humming. If you’ve got a Mr. or Ms. Particular in your home, I’d love to hear about it. You can find Mr. Particular: The World’s Choosiest Champion wherever books are sold and you can find me on Facebook, Twitter, Instagram, or at my website www.jasonkirschner.com . There’s that humming again. I’ve got to go. Enjoy the book! 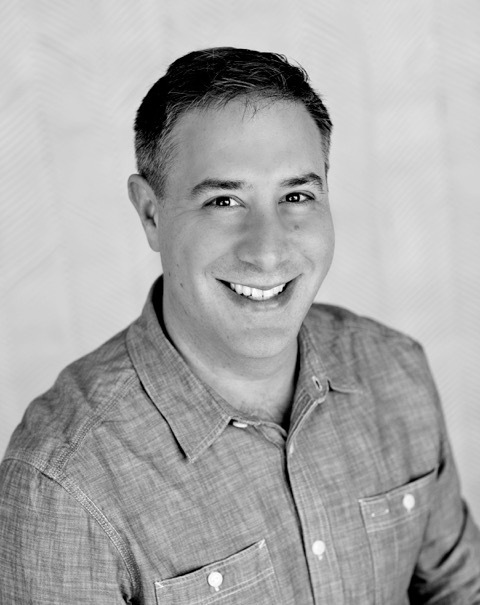 Jason Kirschner is the author and illustrator of Mr. 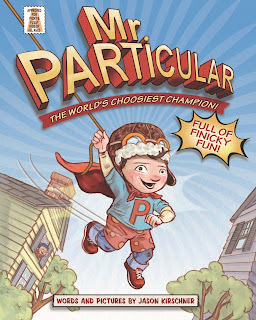 Particular: The World's Choosiest Champion from Sterling which you can now find on shelves in bookstores everywhere. Get your own copy by clicking here and see more of Jason's work at jasonkirschner.com. With the recent release of Captain America: Civil War and the overall blockbuster success of other Marvel enterprises (let's not talk about DC, shall we? ), it's no wonder comic books are retaking their spot in the literary genre. While there are inappropriate comic book movies out there (cough, Deadpool), most of the Marvel universe is family friendly. Still, there's not much out there for little kids, until now. Jason Kirschner, writer and illustrator, gives kids a gorgeous, glossy, comic book-style book filled with morals and lessons that are universal to most children. Notorious for their peculiarities, young readers will connect with Mr. Particular and his band of superhero friends. They will fly with him, laugh with him, be sad with him, and at the end of the book, save the day. Mr. Particular embodies the superhero with the red cape, homemade costume, and sense of fearlessness (well, he is pretty particular). When friends Atomic Bear and Daring Duck decide to kick Mr. P out of the club, he wonders if he should change his ways and become more easygoing, but that, even for adults, is difficult. But when he looks out his window and sees Atomic Bear swarmed by bees, he may the only one who can save him. Kirschner's pages are expansive, the text easy to read, and the colors rich. Young readers will ooh and ahh at the "super items" that open and close the book as well as the overall creative designs and elements that any child will love (and put their dirty little fingers all over!). The characters are diverse, and the ending begs, actually offers, a sequel. Kirschner has my attention in the children's literature universe!